Throughout its history, the Bingham Canyon Mine has produced more copper than any other mine — more than 19 million tons. In addition to producing about 300,000 tons of copper a year, the Bingham Canyon Mine also produces approximately 400,000 ounces of gold; 4 million ounces of silver; 30 million pounds of molybdenum; and 1 million tons of sulfuric acid annually. The mine is the largest man-made excavation on earth. It measures two and three-quarter miles across at the top and threequarters of a mile deep. 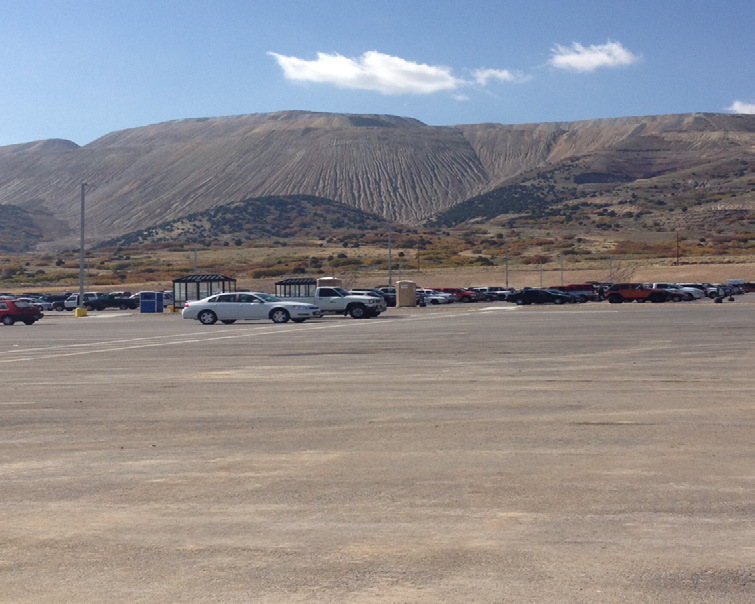 Bingham Canyon Mine is working to expand its operations to access an additional 700 million tons of ore. Part of the expansion included building a new employee parking lot to improve safety and reduce vehicle emissions from traffic in and out of the mine area. Providing 900 parking stalls, the new lot will offer shuttle buses to transport employees to their destinations. Forsgren Associates specified Contech’s CDS 5640 hydrodynamic separator to treat stormwater before discharge into an onsite retention pond that allows water to slowly percolate into the soil. The patented system relies on water hydraulics, gravity, and a screen configuration to remove debris from runoff. It effectively screens, separates and traps debris, sediment and oil from stormwater runoff and is an ideal system to meet trash Total Maximum Daily Load requirements. The system has no moving parts and requires little maintenance.